What Should We Know About Magnets? Magnets are composed of iron, cobalt, nickel and other atoms, the internal structure of the atom is relatively special, it has a magnetic moment. Magnets can produce magnetic fields and attract the properties of ferromagnetic materials such as iron, nickel and cobalt. Different types of magnets have different uses. Shape magnets: square magnet, arc magnet, special-shaped magnet, cylinder magnet, ring magnet, disc magnet, bar magnet, magnetic frame magnet. Industry magnets: magnetic components, motor magnets, rubber magnets, plastic magnets and so on. 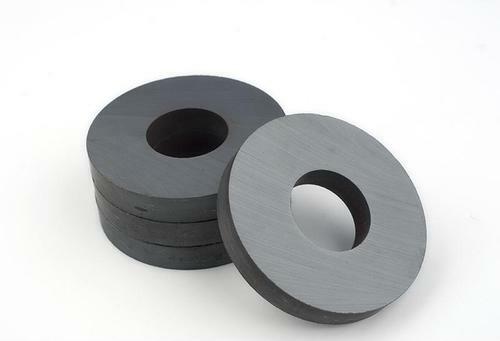 Magnets are divided into permanent magnets and soft magnets. Permanent magnets are added with strong magnets, so that the spin of magnetic materials and the angular momentum of electrons are arranged in a fixed direction. Soft magnets are added with electricity. It is also a way of adding a magnetic force. If the current is removed, the soft iron will slowly lose magnetism. 1. Neodymium iron boron permanent magnet is a modern permanent magnet with strong magnetism, and its application is also extensive. It is mainly used in electroacoustics, permanent magnet rotor, communications, automotive electronics, magnetic machinery, aerospace, computer, household appliances, medical equipment, office automation, toys, packaging boxes, leather products, magnetic accessories and other fields. 2. Permanent magnet ferrites are used as permanent magnets in electric meters, generators, telephone sets, loudspeakers, television sets and microwave devices. They are also used in recorders, pickups, loudspeakers, and magnetic cores of various instruments. They are used in radar, communications, navigation, telemetry and other electronic devices. 3. SmCo magnets can operate at temperatures up to 300 degrees, and have corrosion resistance and oxidation resistance. They have been widely used in detectors, generators, radar, instrumentation, and other precision science and technology fields. 4. Al-Ni-Co magnets are high temperature resistant and corrosion resistant. They are mainly used in motors, sensors, medical instruments, manual tools, loudspeakers and various instruments. 5. Rubber coated magnets have the same and different characteristics, the same suction is weak, mainly used for publicity (refrigerator stickers, car stickers, etc. ), decorative gifts, refrigerator stickers, toys, teaching materials and other areas.